Cellular phones have gone a long way since they were first introduced in the market. If the first units were as big and as heavy as bricks, the latest models, now called smartphones, are as small as and are probably even lighter than a deck of cards. If the first mobile phones were only able to make and receive phone calls, today’s units can do that – as well as a host of other functions: from taking photos to practically washing the dishes (well, not that – not yet anyway). Smartphones have become a necessity in our daily existence. We rely on these units to not just communicate with others, but also as a means to organize our lives. Because these units hold a lot of valuable and sensitive information – not just a list of contacts but possibly your banking details, credit card numbers, schedule for the week (month or year even) – you really need to guard these units with your life. If you lose your phone and it falls in the hands of unscrupulous tech-savvy crooks, you won’t stand a chance. If you drop and break your phone and don’t have a backup – the information you’ve stored would be gone. So, if you own a smartphone (or any phone for that matter), you need to make sure you take the necessary measures to care of your smartphone. If you want to protect the phone unit itself, there are a lot of cell phone accessories in the market that not only protect your smartphone but can also be a reflection of your personality. 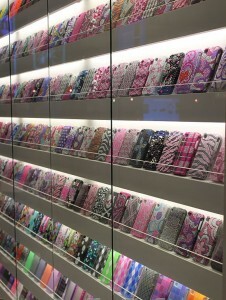 Cell phone covers, or cell phone cases are your first point of call – and there are a lot of these to choose from. There are cellphone covers that wrap around the body of your unit like a glove; there are those that have flip-open flaps which serve to protect the screen; there are cellphone cases that resemble little pouches or also act as a wallet or purse. These come in different materials with different shapes, patterns, colours and decoration. Surely there would be one that would suit your needs – both functional and aesthetic. Screen protectors are often overlooked but these help keep the screen of your smartphone scratch or nick free. 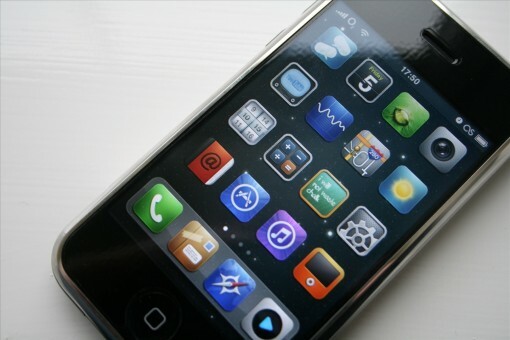 Screen protectors are made of a very thin sheet of durable urethane or glass. Depending on your personal preference, you can get protectors that are clear but have a glossy finish, have mirror coating, have an anti-glare coating, have a coating that reduces fingerprints. You can even have a protector that appears black when looked at from an angle (good for privacy). In case your screen protector wasn’t able to adequately shield your unit from damage, some stores – or the manufacturer of your smartphone – carry or sell cell phone screen replacements. You may have to leave your unit with them so they can replace the broken screen. It goes without saying that you need to be vigilant about where you bring, put down, leave your smartphone unit – so that’s not the 1 way to protect the information your phone holds. The only way you can protect the contents of your smartphone is to enable the locking or password protect function. True, it’s a hassle to type in a 4-digit code or a longer alphanumeric password every time you want to use your phone, but it’s for your own benefit. 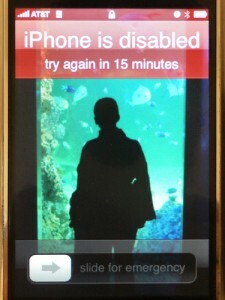 Smartphones are equipped with a function wherein the phone locks itself after a certain number of incorrect tries. It may not seem like much, but it would be enough to deter an impatient thief, and would possibly buy you some time so you can call your provider and the authorities to report that your phone has been stolen. So if you own one or several of these smartphone units, be smart and do what you have to do to protect your unit as well as the information it holds. If you take care of your smartphone, your mobile device will serve you well for many, many years.